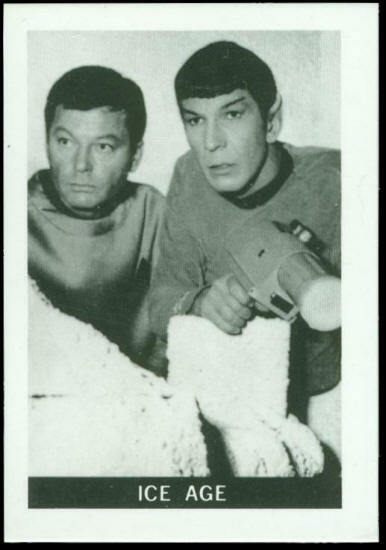 Dr. McCoy and Mr. Spock study the effect of an ice age phenomenon which has destroyed an Earth Colony. 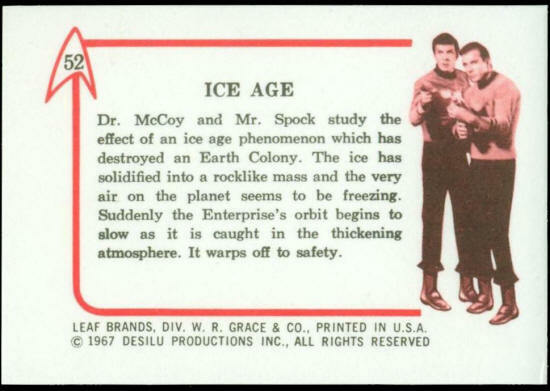 The ice has solidified into a rocklike mass and the very air on the planet seems to be freezing. Suddenly the Enterprise’s orbit begins to slow as it is caught in the thickening atmosphere. It warps off to safety.